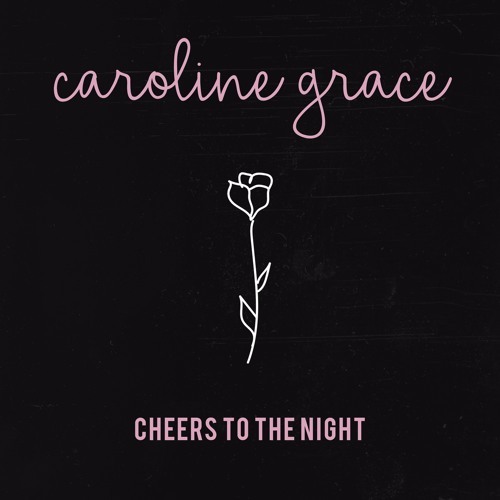 Caroline Grace’s acoustic pop anthem “Cheers to the Night” is a raw, exposed reflection of real-world pressures to fit in – of compromise for comfort’s sake. We’ve all done things we didn’t want to do, for one reason or another: Compromised our integrity for acceptance or comfort. Caroline Grace’s new acoustic pop anthem “Cheers to the Night” is an exposed reflection of the real world’s pressures to fit in, and how those pressures lead us away from ourselves to be someone we don’t want to be. Atwood Magazine is proud to be premiering “Cheers to the Night,” Caroline Grace’s all-too-real sophomore single. A 21-year-old singer/songwriter studying at USC while pursuing music full time, Grace formally introduced herself just last month through her Poo Bear-produced debut single “Show Me,” a love song that extends well beyond the self. Who better than a 21-year-old to tell us what’s really going on across the country, amongst teenagers and young twenty-somethings? Nothing much has changed over the past ten or twenty years: Peer pressure is still peer pressure; social and binge drinking are still indistinguishable – they’re way too hard to tell apart. It’s all here, for the world to see: “I don’t want to be alone tonight, so I take one drink – cheers to the night,” Grace sings, a reserved melancholy lingering in the back of her throat as she sacrifices one value for another. With its laid-back acoustic guitar line and lilting vocal melodies, “Cheers to the Night” is easy to fall in love with. The song is effortlessly catchy, but it’s nice to have a genuinely real message stuck in our heads; unlike many pop refrains, this chorus truly means something. Caroline Grace dove even deeper into the lyrical side of “Cheers to the Night” for Atwood Magazine: “The song focuses on young females who often feel they must dress, act, or look a certain way in order to fit in. They must succumb to the ways of their surroundings in order to assimilate into the culture, even if that culture is not something they particularly enjoy. The concept, when put in these terms seems mental, however, we have all found ourselves at times doing it. There is something intrinsic in our human nature that longs for acceptance,” Grace explains. It goes without saying that “Cheers to the Night” holds significant weight for the budding, young artist. We dress up, go out, and pretend to have a great time in order to accompany the projected allusion of our unbreakable happiness. If that well-spoken, critical condemnation doesn’t resonate with you, then you’re one of the lucky few. This song – not to mention Grace’s words – hits home for many of us who’ve gone through the American undergraduate experience: It exposes the weight of cultural pressures and their inevitable effect on our behaviors and actions. It’s not a cure-all for society’s imperfections. It’s not an anthem for standing up for yourself; for basking in self-assurance, security, self-knowing or self-confidence. It’s not about saying no. It’s much more powerful than that, because it’s about saying yes, and about why we say yes. Caroline Grace has a hit on her hands, and she doesn’t even know it yet. Stream “Cheers to the Night” exclusively on Atwood Magazine ahead of its December 1st release date, and enjoy Caroline Grace’s intimate music video for an even more impactful experience!